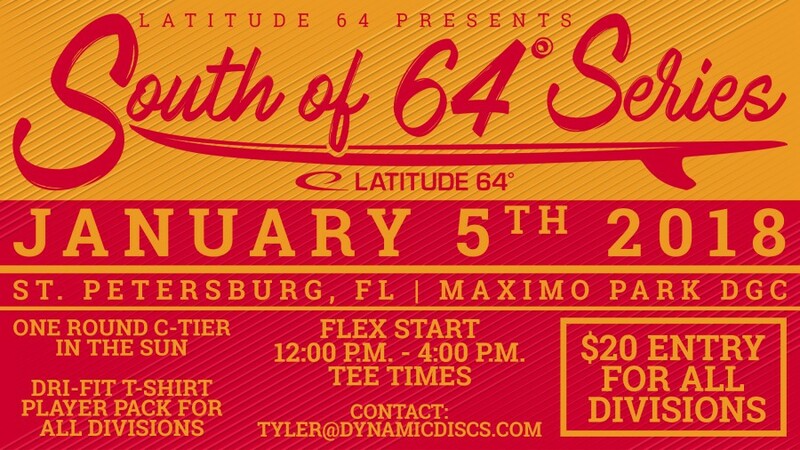 The South of 64 Series presented by Latitude 64 is back for 2018! As winter sets in up north we'll all bask in the sun down south. This will be a great one round flex start warm up event for the 2018 Tocobaga Games. 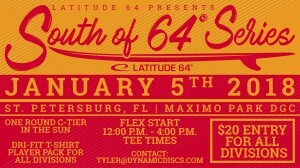 All entry's are $20 with ALL DIVISIONS receiving a Latitude 64 South of 64 Series Dri Fit t shirt. Sign ups are available day of, with the last tee time at 4:00. Bring your friends out for some SO64 Series fun!